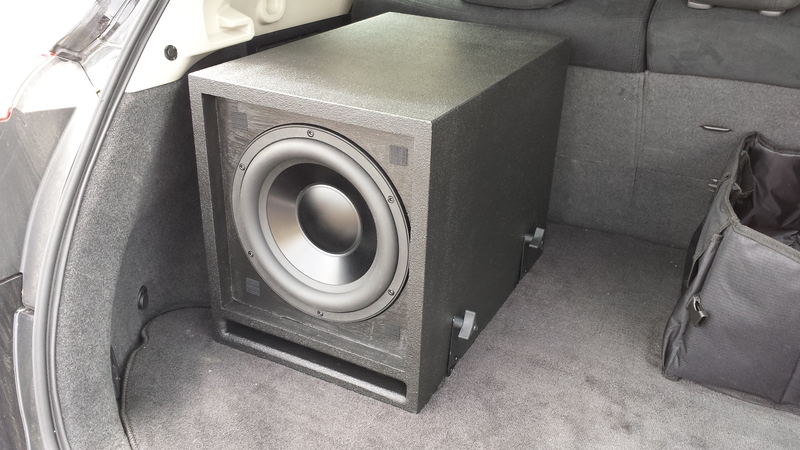 A compact sub designed for automotive use but equally well suited in a larger room. This box was built solid and utilizes a slot port wrapped around the internal cabinet to create the length required for the very low tuned frequency. 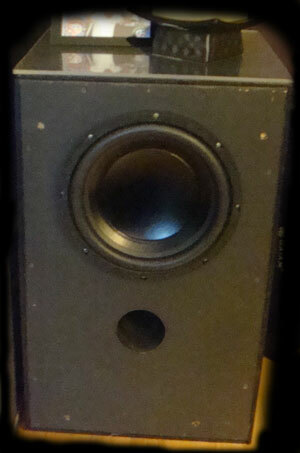 A slender but tall set of cabinets designed for extremely wide bandwidth and accurate reproduction for the bass guitar. The sub cabinet utilizes a single high power 15″ driver in a vented enclosure designed to reproduce the 41Hz low E fundamental of a bass guitar without losing output efficiency. The high frequency cabinet utilizes a set of 4 aluminum cone 6 1/2″ speakers arrayed around a high efficiency bullet tweeter. The high range is designed for fast attack and extended upper frequency sensitivity allowing faithful reproductions of transients and overtones of the bass guitar. Cabinets are finished in a durable black fabric with stackable corners and steel protective grilles over the drivers. 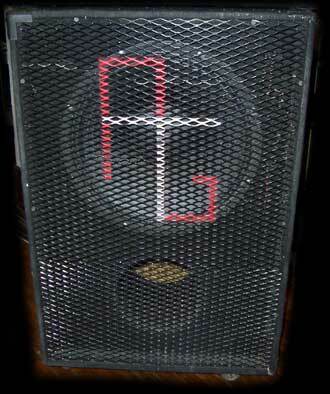 The primary design goal was to hear the bass, not the speakers. Recommended crossover point of 200Hz. 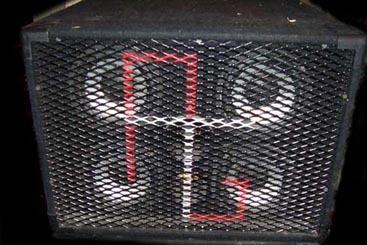 A compact passive sub capable of clean useable output to below 30Hz while only utilizing 1 cubic foot of internal volume. Has multiple impedance configurations to accommodate any drive amplifier. 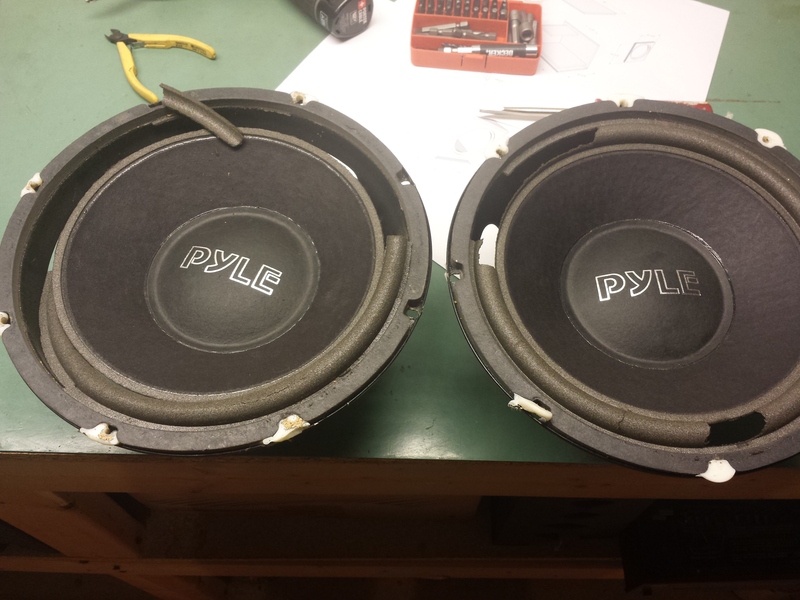 The design uses two 10 inch woofers in a vented, fourth order push pull isobaric configuration to reduce equivalent volume and allow low frequency extension in a small enclosure. The cabinet is well suited to either home or mobile use. Cabinet Dimensions: 13″W X 13″D X 14″T with a protruding speaker basket on one side to accommodate the face to face mounting of the drivers. This little box showed it’s age and suffered a terrible death by foam dry rot, it was over 15 years old. The details on the re-build are posted here. 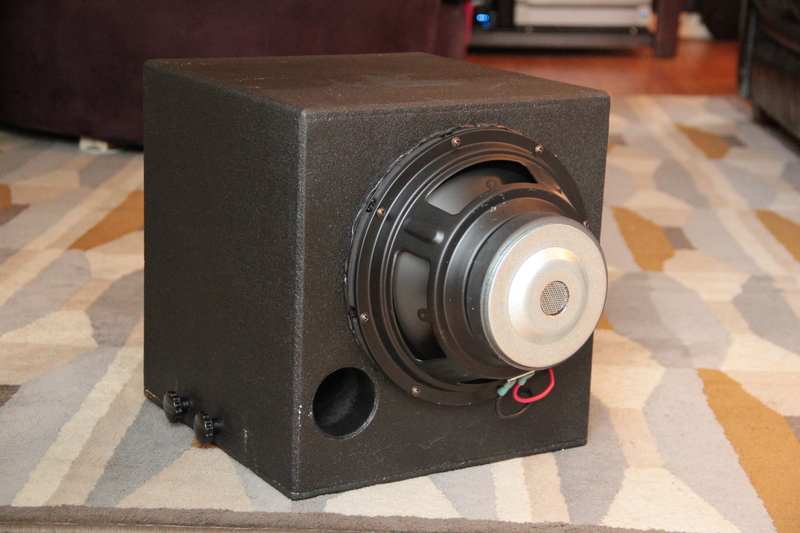 A massive powered subwoofer designed for incredible low frequency output usable to 24Hz. Utilizes a 12″ long excursion woofer and a 200WRMS power amplifier. Amplifier module has an adjustable gain, phase and crossover point. The front loaded cabinet is finished in textured gloss black and covered with a black fabric grille. The top is protected by a Plexiglass cover to allow use as an end table.